Bringing this review to a close, we've seen it all and yet we have more to see. Here's what we know right now. NVIDIA has once again aimed for the top and reached it, securing the performance crown for another presumably long stint. 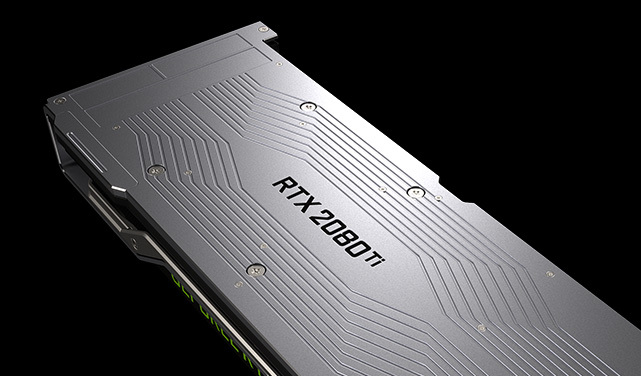 Or arguably extending the current reign, but either way, on terms of traditional performance the new GeForce RTX 20 series further extends NVIDIA's performance lead. By the numbers, then, in out-of-the-box game performance the reference RTX 2080 Ti is around 32% faster than the GTX 1080 Ti at 4K gaming. With Founders Edition specifications (a 10W higher TDP and 90MHz boost clock increase) the lead grows to 37%, which doesn't fundamentally change the matchup but isn't a meaningless increase. Moving on to the RTX 2080, what we see in our numbers is a 35% performance improvement over the GTX 1080 at 4K, moving up to 40% with Founders Edition specifications. In absolute terms, this actually puts it on very similar footing to the GTX 1080 Ti, with the RTX 2080 pulling ahead, but only by 8% or so. So the two cards aren't equals in performance, but by video card standrads they're incredibly close, especially as that level of difference is where factory overclocked cards can equal their silicon superiors. It's also around the level where we expect that cards might 'trade blows', and in fact this does happen in Ashes of the Singularity and GTA V. As a point of comparison, we saw the GTX 1080 Ti at launch come in around 32% faster than the GTX 1080 at 4K. Meaning that, in other words, the RTX 2080 has GTX 1080 Ti tier conventional performance, mildly faster by single % in our games at 4K. Naturally, under workloads that take advantage of RT Cores or Tensor Cores, the lead would increase, though right now there’s no way of translating that into a robust real world measurement. So generationally-speaking, the GeForce RTX 2080 represents a much smaller performance gain than the GTX 1080's 71% performance uplift over the GTX 980. In fact, it's in area of about half that, with the RTX 2080 Founders Edition bringing 40% more performance and reference with 35% more performance over the GTX 1080. Looking further back, the GTX 980's uplift over previous generations can be divvied up in a few ways, but compared to the GTX 680 it brought a similar 75% gain. But the performance hasn't come for free in terms of energy efficiency, which was one of Maxwell's hallmark strengths. TDPs have been increased across the x80 Ti/x80/x70 board, and the consequence is greater power consumption. The RTX 2080 features power draw at the wall slightly more than the GTX 1080 Ti's draw, while the RTX 2080 Ti's system consumption leaps by more than 60W to reach near-Vega 64 power draw at the wall. Putting aside those who will always purchase the most performant card on the market, regardless of value proposition, most gamers will want to know: "Is it worth the price?" Unfortunately, we don't have enough information to really say - and neither does anyone else, except NVIDIA and their partner developers. This is because the RT Cores, tensor cores, Turing shader features, and the supporting software are all built into the price. But NVIDIA's key features - such as real time ray tracing and DLSS - aren't being utilized by any games right at launch. In fact, it's not very clear at all when those games might arrive, because NVIDIA ultimately is reliant on developers here. Even when they do arrive, we can at least assume that enabling real time ray tracing will incur a performance hit. Based on the hands-on and comparing performance in the demos, which we were not able to analyze and investigate in time for publication, it seems that DLSS plays a huge part in halving the input costs. In the Star Wars Reflections demo, we measured the RTX 2080 Ti Founders Edition managing around a 14.7fps average at 4K and 31.4fps average at 1440p when rendering the real time ray traced scene. With DLSS enabled, it jumps to 33.8 and 57.2fps. So where does that leave things? For traditional performance, both RTX cards line up with current NVIDIA offerings, giving a straightforward point-of-reference for gamers. The observed performance delta between the RTX 2080 Founders Edition and GTX 1080 Ti Founders Edition is at a level achievable by the Titan Xp or overclocked custom GTX 1080 Ti’s. Meanwhile, NVIDIA mentioned that the RTX 2080 Ti should be equal to or faster than the Titan V, and while we currently do not have the card on hand to confirm this, the performance difference from when we did review that card is in-line with NVIDIA's statements. The easier takeaway is that these cards would not be a good buy for GTX 1080 Ti owners, as the RTX 2080 would be a sidegrade and the RTX 2080 Ti would be offering 37% more performance for $1200, a performance difference akin upgrading to a GTX 1080 Ti from a GTX 1080. For prospective buyers in general, it largely depends on how long the GTX 1080 Ti will be on shelves, because as it stands, the RTX 2080 is around $90 more expensive and less likely to be in stock. Looking to the RTX 2080 Ti, diminishing returns start to kick in, where paying 43% or 50% more gets you 27-28% more performance. The benefits of the new hardware cannot be captured in our standard benchmarks alone. The DXR ecosystem is in its adolescence, if not infancy. Of course, NVIDIA is hardly a passive player in this. 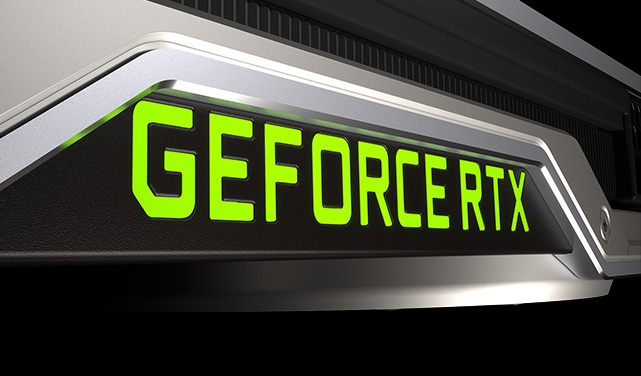 The GeForce RTX initiative is a key inflection point in NVIDIA's new push to change and mold computer graphics and gaming, and it's highly unlikely that anything about this launch wasn't completely deliberate. There was a conscious decision to launch the cards now, basically as soon as was practically possible. Even waiting a month might align with a few DXR and DLSS supporting games out at launch, though at the cost of missing the prime holiday window. Taking a step back, we should highlight NVIDIA's technological achievement here: real time ray tracing in games. Even with all the caveats and potentially significant performance costs, not only was the feat achieved but implemented, and not with proofs-of-concept but with full-fledged AA and AAA games. Today is a milestone from a purely academic view of computer graphics. But as we alluded to in the Turing architecture deep dive, graphics engineers and developers, and the consumers that purchase the fruits of their labor, are all playing different roles in pursuing the real time ray tracing dream. So NVIDIA needs a strong buy-in from the consumers, while the developers might need much less convincing. Ultimately, gamers can't be blamed for wanting to game with their cards, and on that level they will have to think long and hard about paying extra to buy graphics hardware that is priced extra with features that aren't yet applicable to real-world gaming, and yet only provides performance comparable to previous generation video cards.